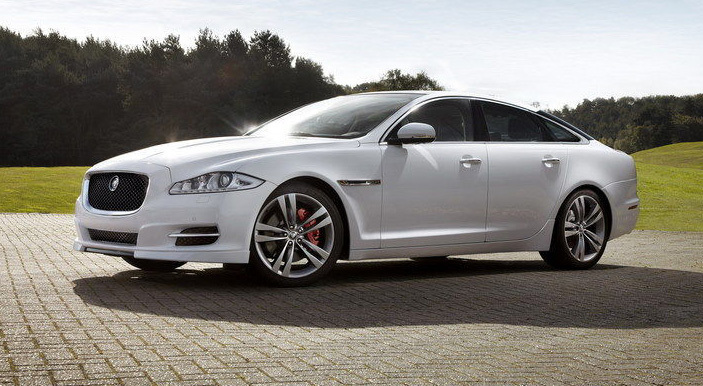 Jaguar XJ, the supreme luxury limousine, was designed for transporting passengers with absolute style and luxury. A V8 5.0 liter petrol engine was provided to the XJ, which helped it pack a punch. Not stopping there, Jaguar added the supercharger V8 5.0 liter engine, this transformed the XJ to a performance packed limousine without losing the traits of being super luxurious. The story does not end here; Jaguar has now brought forth two newer versions of the XJ that are deemed to be even faster. Air splitter placed under the front bumper. This channels air below the car and thus reduces the lift. The boot lip at the rear has been enhanced keeping aerodynamics in mind. Twin split tailpipes have also been added. It would be cumbersome for a regular model owner in figuring out the exact nature of the Sport Model. The Sport back has been so designed that it goes together with a “Speed” pack designed to justify all the decorative changes made to the XJ. The ‘speed’ pack is designed to remove the limiter from the engine of the Jaguar XJ, thereby ensuring that the car picks up speed to the tune of 280 kmph. The speed pack has only been designed for the supercharger V8 5.0, whereas the ‘Sport’ pack can be used n lesser variant engines as well.